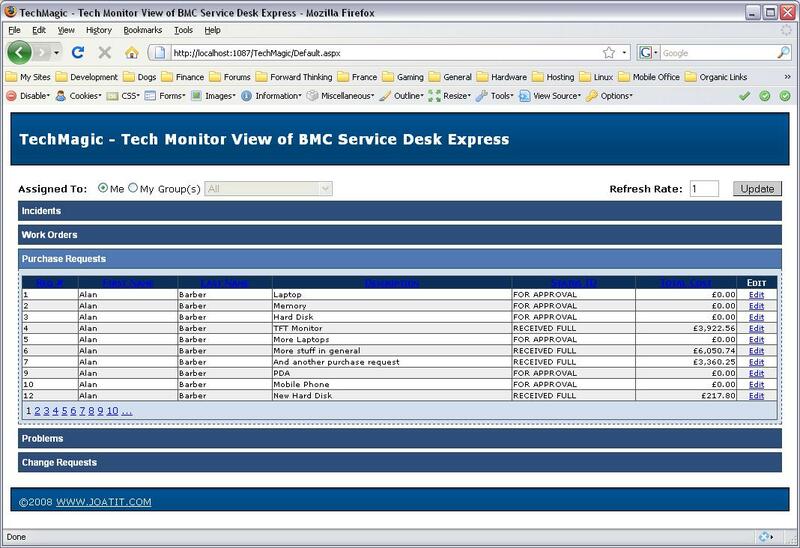 TechMagic is designed to provide engineers with a license free way of viewing incidents, work orders, purchase requests, problems and change requests assigned to themselves or a member of a group they belong to held in the BMC Service Desk Express database. The application has been specifically designed not to require any changes to the structure or even the data held within the SDE database. As such, it is accepted that this application could be improved, for example, by using stored procedures to obtain the data. However, this would increase the complexity of the application and would require the installation of said stored procedures in the SDE database. The application will work in both the default SQL authentication and the Windows authentication configurations. In the case of the Windows authentication configuration, the application cross references the WINUSERID field of the Support Staff (_PERSONNEL_) table for a valid user account. This means that this field must be populated with the DomainUserName of the support staff member in this configuration. Magic V8.0 and above or BMC SDE Version 9.00 and above using Microsoft SQL Server 2000 or 2005 as the database. Microsoft Windows 2003 or Microsoft Windows 2000 Server complete with IIS and the Microsoft .NET Framework 2.0 installed. This server can be, but does not have to be the same server as the SDE Application or Database Server. A Microsoft Windows 2000 Server standard installation includes IIS but not the Microsoft .NET Framework 2.0. A Microsoft Windows 2003 Server standard installation does not include IIS or the Microsoft .NET Framework 2.0. Unzip the file to any location on the server. 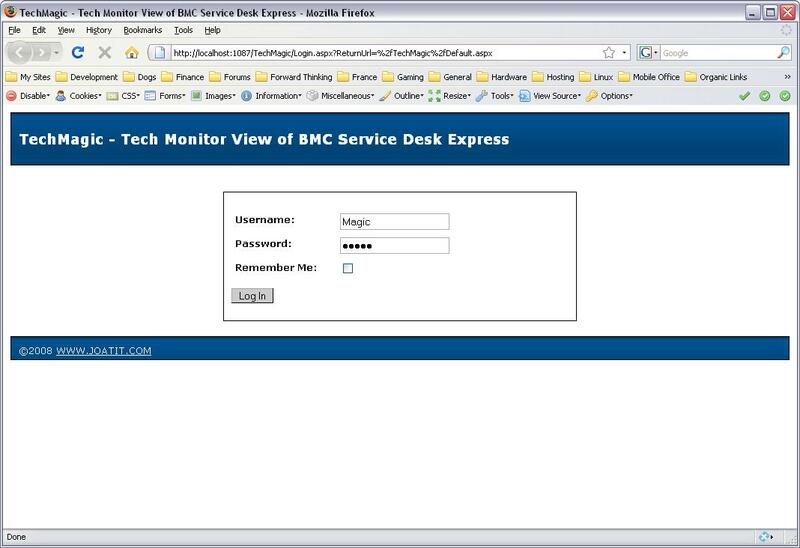 Open TechMagic2_0.pdf and following the installation and configuration instructions. The only Copyright on the application is that you don’t re-use the code to sell this application or any other with my code. The application is provided free of charge and you are free to make as many changes as you like. All I ask is that you don’t take any credit for what you haven’t done! It is as simple as that. For support either email me directly (alan@14j.co.uk).